ESCAPADE is now available to preorder on a number of different websites, including Amazon, B&N, and more. Visit my BOOKS page for a list of links. 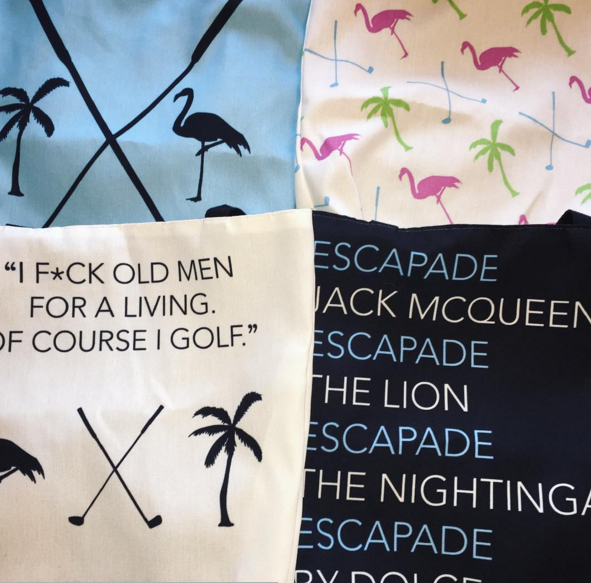 I also am happy to announce some Escapade merch that I designed, which is now available on Redbubble. The amazing Ashley R. Guillory created the trio silhouettes and I was able to stretch my graphic arts muscles to make the different designs. I'll be announcing some fun merch giveaways in the next couple of weeks to get ready for Escapade's release! ESCAPADE is now available on the Dreamspinner site for pre-sale! Check out my BOOKS page for links to order ESCAPADE. It will also be available on Amazon and in stores upon release. Hello everyone! I’m writing a blog post to give an update about the Escapade process, along with a bit about what has been going on in my life. I’ve made some references in Ask replies about my personal life being more hectic than usual and wanted to clarify why. My father passed away suddenly the first week of January without any warning or illness. We had just experienced a lovely holiday season together and thrown him a big birthday party in December. It is safe to say we were completely caught off guard. This trauma has, understandably, caused my life to change. The reason I mention all of this is because it has pushed the release date of Escapade back a few weeks. My publisher, who was so kind and supportive during this difficult time, felt it best to put a short hold on production while I was recovering. I am happy they took the lead with that, as the last few weeks have been a bit of a blur and I definitely needed a break. I am still recovering and will probably be not my full self for a long time, but I’m trying my best to go back to as normal as possible. I am thankful to my friends from multiple fandoms for being supportive and checking in on me. You will never know how touched I am by your texts and emails. Thank you, as always, for reading. Please take care of yourselves and be well. I hope to have more Escapade news soon.